When you file for divorce, known as a dissolution of marriage in Florida, your divorce petition must inform the court of what you want awarded to you in the divorce; for example, the marital home or custody of your children. Therefore, if you wish to receive alimony, you must include this request in your petition. Once divorce proceedings begin, you also have the option of requesting temporary alimony, which is paid while the divorce proceedings are underway and terminates when the divorce is finalized. Since Florida, like all states, does not restrict alimony to women only, your husband may also request alimony. Florida provides several alimony options. Rehabilitative alimony lasts a limited time, provided to help a spouse develop the education or career skills necessary to achieve financial independence after the divorce. Bridge-the-gap alimony is limited to a duration up to two years, provided to help a spouse transition from married to single life. Permanent alimony is long-term alimony, lasting until the recipient spouse remarries or either spouse dies; it is typically awarded in long-term marriages or when a spouse is unable to work due to age or physical or mental illness. Durational alimony is paid for a specific period of time, not exceeding the length of the marriage. These forms of alimony are paid periodically, such as monthly or semi-monthly. When periodic alimony is not appropriate, Florida courts have the option of awarding lump sum alimony instead. 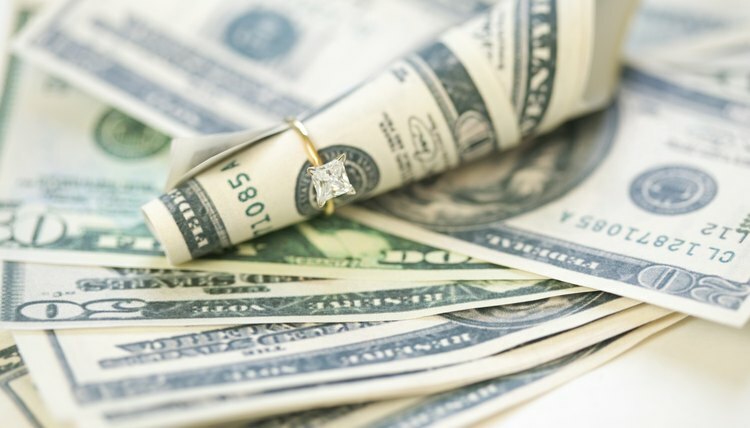 If the court orders your husband to pay lump sum alimony, you will receive a "lump sum" of money, property or both, to be paid all at once or in payments over a short period of time. Bridge-the-gap alimony may also be paid in this manner. Courts may award lump sum alimony for a variety of reasons; for example, when periodic alimony is unfeasible because the husband may flee the court's jurisdiction or the court believes reducing future interaction between the spouses is in the couple's best interests because the divorce is so contentious. Some examples of how a judge could award lump sum alimony include ordering a marital asset to be sold and the proceeds transferred to the wife or ordering a husband to pay his upcoming annual bonus to his wife. If you and your husband are unable to reach an alimony agreement on your own, the court will make this decision for you. Florida courts consider a number of factors when deciding whether to award lump sum alimony and in what amount. Factors include the length of the marriage, the standard of living during the marriage, each spouse's age, health, earning capacity and financial resources, and any other factor the court finds relevant, including adultery. Although adultery does not mandate or bar alimony, the court may factor it into its evaluation. Additionally, unlike other forms of alimony, a lump sum award cannot be changed once the divorce is final, even if there has been a change in circumstances.